Tealights, just so pretty. We can't get enough of them and we wanted to find some really lovely tealight holders to prove that candles still make great gifts. Tealights can instantly transform a room after dark - you don't need to light a thousand of them and go all 'Interview with a Vampire', just a few of these on a table, the mantelpiece or windowsill and you've got a mini magical fairy dell in seconds. We chose these as they are handpainted in India, they're the perfect size, and they look just as lovely in the daytime unlit as they do flickering away at midnight. 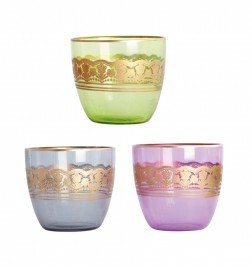 3 Tealight Holders of assorted colours per pack. 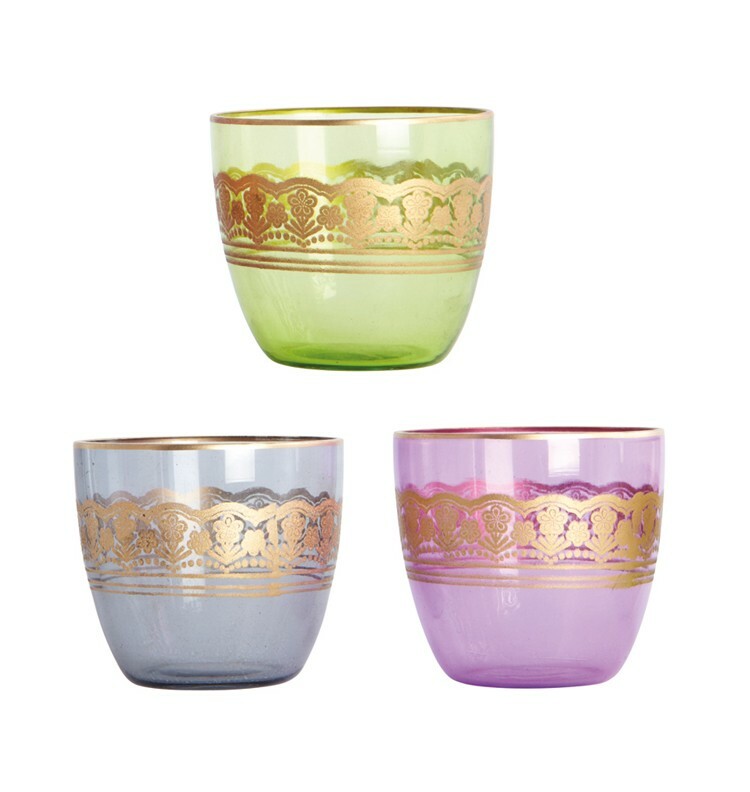 Each Tealight Holder is 6.5cm high glass.